Runners up for two years on the trot, the Lions will be looking to convert their run of silver medals into gold. Yet 2018 presents a number of new challenges. The impact of the departure of ex-coach Johan Ackermann’s positive influences and forward-thinking strategies and game plans remains to be measured. They do have a well-salted and respected replacement in Swys Joubert, who was Ackermann’s understudy. Joubert is a quieter, more reticent figure than the larger-than-life Ackermann, and we will watch his progress with interest. The departure of Ackermann is compounded by the departure of some senior players, including Ruan Ackermann, Julian Redelinghuys, Faf de Klerk, and Akker van der Merwe. 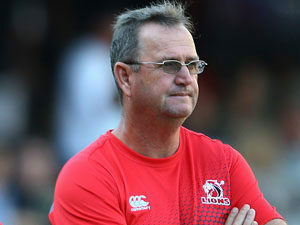 In 2017 the Lions came very close to achieving their goal of a Super Rugby trophy. Their march to the title was thwarted by an unfortunate, but deserved, red card shown to Kwagga Smith. Playing with 14 men against the Crusaders for most of the game was a bridge to far, and they went down by 25 to 27. Despite the loss in the final, the Lions can be proud of their season, occupying the top segment of the stats table in every aspect of the game that counted. Perhaps their fixture list helped a bit, they avoided New Zealand opposition right through to the playoffs, but then they showed that they knew how to step their game up to match the New Zealanders when the playoffs arrived. 2018 will be a little different. They will play four of the New Zealand team this year. The Lions have one of the kindest draws of the year. They kick off their season with a home game against the Sharks, a repeat of last year’s playoff quarterfinal. Then they host the Jaguares at Ellis Park before crossing the mighty Apies river to play the Bulls at Loftus. They return home to play the Blues and the Sunwolves. Their first “tour” away from South Africa follows, with a fixture against the Jaguares before a somewhat difficult two weeks back home, hosting the Crusaders and then the Stormers before their first bye weekend. The bye week comes at just the right time to prepare for a four-week trip to Australia and New Zealand where they play the Waratahs, the Reds, and then the Hurricanes and the Highlanders before returning home to host the Brumbies. They then head off to Cape Town to play the Stormers before the mid-season June Test window opens. Their final three weeks are relatively easy, an away game against the Sharks, followed by a bye, and then a season closer against the Bulls back at Ellis Park. That is a very kind fixture list. New additions to the Lions’ ranks for this competition are Jacobie Adriaanse, Ashlon Davids, Aphiwe Dyanti, Willie Engelbrecht, Marco Jansen van Vuren, Len Massyn, Christiaan Meyer and Marnus Schoeman. There is a fairly stable squad of stalwarts remaining in the Lions camp, although they might be a bit light in the halfbacks. The loss of Faf de Klerk puts extra pressure on Ross Cronje to stay fit and injury free. He only has the inexperienced Dillon Smit and a youngster in Marco Jansen van Vuuren as back-up in the 9 jersey. At flyhalf Elton Jantjies will have to be supported by Andries Coetzee and Shaun Reynolds, while the Lions nurture young Ashlon Davids. There will be a lot of interest in the form and fitness of Warren Whiteley after almost a year away from the game. It would take a brave man to bet against the Lions being right up there again in 2018. The foundations laid by Johan Ackermann, the continuity represented by Swys Joubert’s elevation to head coach, and the retention of the core of their 2017 squad all count in favour of a good year. The one weakness in the team is at half-back, where they have two Springboks in Jantjies and Cronje, and then very little else. This might just be their Achilles Heel. I expect them to be in the play-offs, again.